You are warmly invited to join us for our annual Gathering of supporters and friends old and new of Cairdeas International Palliative Care Trust, to hear updates on our work all over the world over the past year, and to hear how you can support our work. The event will be hosted by Cairdeas' Medical Director, Dr Mhoira Leng, Cairdeas Trustee, Jacqui Mackintosh and Gerrard Street Baptist Church, long time supporters of the work of Cairdeas. Dr Mhoira Leng is back in Scotland for a short visit. Mhoira spends most of the year working in Kampala, Ugadna as Head of Palliative Care for the Mulago and Makerere Palliative Care Unit, and this is a unique opportunity to hear first hand about the work and progress of Cairdeas. The University of Edinburgh, Cairdeas International Palliative Care Trust and the International Children’s Palliative Care Network invite you to a global palliative care day on Thursday November 29th2018 (09:00 – 16:00) at the University of Edinburgh. 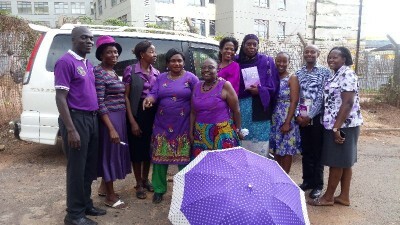 Leadership – sharing lessons learned for palliative care and midwifery and Uganda nurse leaders. To register a place at the conference please click on this Eventbrite link. On Monday 8th October 2018, from 6pm - 8.30pm in the Royal College of Physicians (Queen Street, Edinburgh), the Scottish premiere screening of "Hippocratic: 18 Experiments in Gently Shaking the World", will take place. A must-see documentary for all those interested in the power of the human spirit, human rights and social justice - tickets are free, but must be booked in advance via the following link: http://Screening of "Hippocratic: 18 Experiments in Gently Shaking the World". The film tells the story of global health leader, and friend of Cairdeas, Dr Rajagopal, who is one of those leading the way in  palliative care programmes  in India. Final preparations are underway this week for a conference on the 9thand 10thof August hosted by Cairdeas and the Makerere & Mulago Palliative Care Unit (MMPCU). Taking place in Makerere University, Kampala, the two-day event will formally mark 10 years of partnership working between the closely linked organisations. An international panel will speak on the theme of: ‘Building Momentum for Palliative Care’. Delegates will look back on what has been achieved to advance the cause of palliative care in the preceding decade, whilst also looking forward and planning for a future of enhanced palliative care and greater global health equality for all. From Scotland, India, Sudan, Rwanda, USA and Uganda, delegates will speak on policy, practice and research, showcasing the cutting-edge, evidence-based palliative care practice that has been making an impact in Uganda and elsewhere. One of the conference guests and keynote speakers will be Dr MR Rajagopal. Dr Rajagopal has worked tirelessly since the early 90’s to establish palliative care and pain relief for many millions in India. Starting his work in Calicut, Kerala he is currently based in Trivandrum, Kerala but reaches a global audience. The voices of patients, their families, and volunteers will also be heard at the conference as those affected will explain, first hand, how values-based, person centred care has had a profound impact on their lives. Themes such as palliative care and mental health, palliative care and refugees, and palliative care and the elderly will all be explored. Cairdeas’ Christian ethos will, of course, be in evidence at the conference with an input on, ‘spiritual narratives within palliative care’. Conference Venue: Davis Lecture Theatre, Deans Gardens, College of Health Sciences, Mulago Hospital, Uganda. Do you love some retail therapy? Well you can now raise money for Cairdeas while shopping and not paying any extra! There are 2 ways to do this - all you need to do is set up accounts via the following 2 links, and then keep shopping and every time you purchase through these interfaces, extra money comes to Cairdeas at no cost to you! 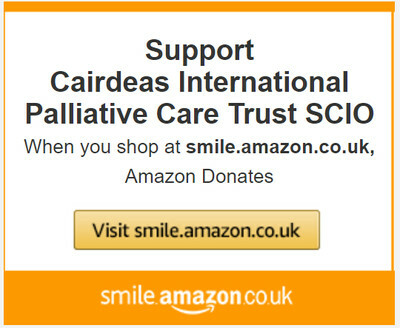 Amazon Smile is obviously specific to Amazon and you get the same shopping experience, you just need to access via Amazon Smile once you've set up Cairdeas as your preferred charity (through the link above) and Amazon donates 0.5% of the net purchase price to Cairdeas! What's not to like!? 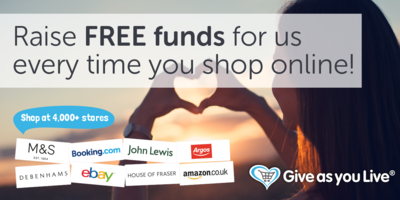 You can also sign up to Give As You Live and then thousands of other retailers will donate to Cairdeas when you shop with them at NO EXTRA COST TO YOU, including Ebay, B&Q, John Lewis, Waitrose, Argos, New Look, Hotel Chocolat, Next, Mothercare, Thomas Cook, ToysRus, M&S, Tesco, House of Fraser, Topshop, Interflora, Staples, Debenhams, Domino’s, Groupon, lastminute.com, Amazon and Viking! 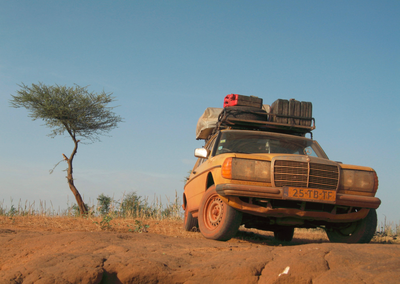 Anyone who has experienced African roads will realise why cars wear out in Uganda! Unfortunately Cairdeas' car is on its last legs and we are long overdue a replacement. Costs associated with importation and the need for a 4x4 mean that prices are quite high, but we have found a good quality second hand vehicle which will become available for us to purchase in July for just under £10,000. We are already a way towards raising this sum, but if you are able to help us with a one-off donation, you will be helping us to safely and effectively achieve our objectives in Uganda. To make a donation, please click HERE. 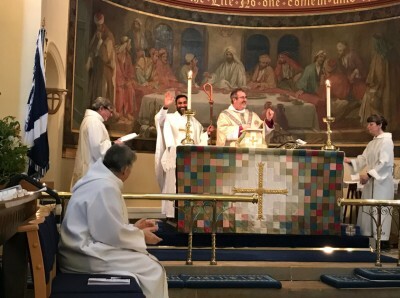 Congratulations and praying for God's blessing on our friend and trustee Rev Dr Hamilton Inbadas on his installmant as new priest in charge of St John's Church Forres! We have been out and about yet again, this time sharing some of our work and learning from the experiences of others at AORTIC 2017, a meeting which took place in Rwanda to focus on cancer care in Africa! Check out some of the presentations shared by Cairdeas and friends HERE! Cairdeas, ICPCN and Rwandan palliative care colleagues unite! Cairdeas Christmas Appeal 2017 is launched! 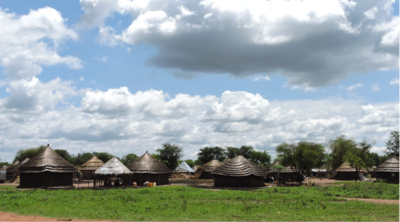 For a donation of £10… You can pay for a pack of vital supplies for refugees from South Sudan living in the refugee camps in Northern Uganda, which are being distributed by Lugogo and Cairdeas ‘Sanyu’ volunteers, providing essential supplies and sharing love and care. For a donation of £25… You can pay for a piglet to support the pig breeding income generating project through our partner PcERC in Kampala, Uganda. This aims to establish a sustainable source of income for the palliative care volunteer team in Mulago hospital who offer essential practical and pastoral support. 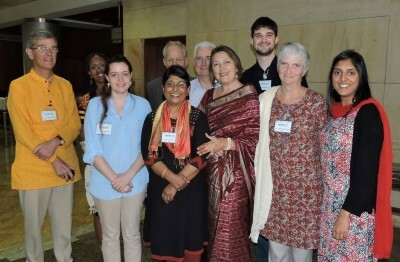 For a donation of £100… You can support the training and mentorship of a palliative care health professional in India in leadership skills through our partner Pallium India. This allows local champions to be equipped to take serviecs forward in their own setting and to advocate with policy makers for sustainable growth. Click HERE to download the poster, and click HERE for details of how to donate or to donate online now! If you would like to give one of these things as an alternative Christmas gift, please email operations@cairdeas.org.uk after making your donation to request a gift certificate. Welcome to our new Chair of Trustees! We are delighted to announce that Andy Smith has recently taken up the role of Chair of the Cairdeas Board of Trustees. Andy is Chief Executive of Havens Hospices in Essex and brings a wealth of leadership experience and passion for palliative care provision to the role, and we are excited for the coming period with Andy in this role. 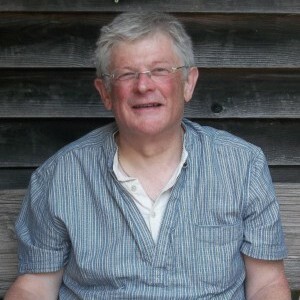 We'd also like to take this opportunity to thank Grahame Tosh who stepped down as chair earlier this year - his work and commitment are hugely appreciated and we are so pleased that Grahame has opted to remain on the board of trustees going forwards. Also huge thanks to Jacqui Mackintosh for ably covering the gap between chairs in her role as vice chair! Thanks to Dr Alice Gray for sharing your experiences of your time with us in Uganda in the APM Junior's post of the month - sadly the article has now been archived, but your sharing was much appreciated! We are very pleased to invite you to our annual Gathering, which will take place at Kirkintilloch Baptist Church (click the link to find out where it is!) on Saturday 16th September 15.00 - 16.30. This will be the usual opportunity to hear from Mhoira and the Cairdeas team about what's been happening over the past year and some plans for the future. The event will kick start our Purple Party campaign (see below) so if you can, come dressed in purple and ready to eat purple-themed goodies! Click here to download a poster to print and share with friends - the more the merrier! We look forward to seeing you there! Supporters may have heard already that we are developing the 'Cairdeas Faculty' which is made up of Fellows & Associates - people who have been involved in mentoring and training in global palliative care and those who would like to be involved in the future. We are also looking for Ambassadors who can represent Cairdeas at events in the UK and don't necessarily need to have palliative care skills. We are holding an open meeting for anyone who is interested in contributing to or hearing more about the Cairdeas Faculty on Monday 18th September from 4-6pm in the University of Edinburgh. This is planned to coincide with our Gathering on the Saturday and the Global Palliative Care Day on the Tuesday. Please click below to register your interest in the Faculty in general and let us know if you can make it to the meeting. The form also contains some questions about your hopes and suggestions for the Cairdeas Faculty, so please do complete the form even if you aren't able to make it to the meeting. We are pleased to advertise a Global Palliative Care Day which Cairdeas is jointly hosting. This will take place at the University of Edinburgh on Tuesday 19th September. For the first time this year we are coordinating dates with the Scottish Partnership for Palliative Care conference - and with our own Gathering in Kirkintilloch on Sat 16th - so why not make a trip of it and come to Edinburgh! For more details and online registration, click here! 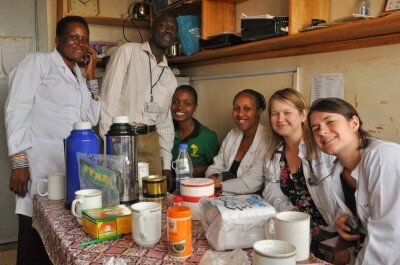 MPCU team and volunteers: practising global palliative care! Our purple party campaign has returned for 2017! We will be starting with our Gathering on 16th September and finishing on World Hospice and Palliative Care day on October 14th (although if you want to hold a party outside those dates you are still welcome to!). 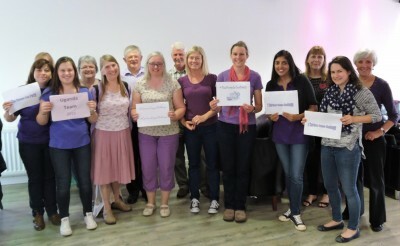 We are looking for keen supporters, old and new, to host purple-themed parties ranging from outings to a tea shop to an excuse for some home baking. We are putting together a Party Pack with tips on how to host and publicise your party and with a fun quiz to entertain the guests with! Click here to download a poster template which you can print and fill in with the details of your planned event, along with a sign reading 'For me, Cairdeas represents...' which party guests can fill in and be photographed holding. For more details and to order a party pack (with printed posters and signs if you need them), contact Dan on operations@cairdeas.org.uk. Could you get as many purple guests as this!? 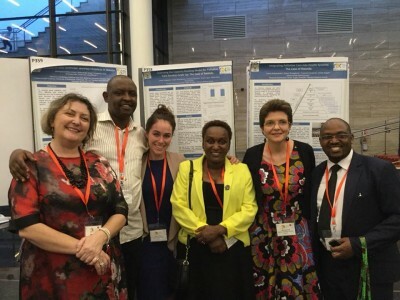 An evaluation from the recent excellent work done in Uganda, Kenya, Rwanda and Zambia using mentorship techniques to integate palliative care into health systems has just been published in the Journal of Global Health, featuring our Medical Director Mhoira and other friends and colleagues of Cairdeas. Find the paper in our resources folder or by clicking HERE. A familiar face in a new role! We are delighted to announce that Dan Knights has been appointed as our new UK Director of Operations. Dan is a very familiar friend of Cairdeas. 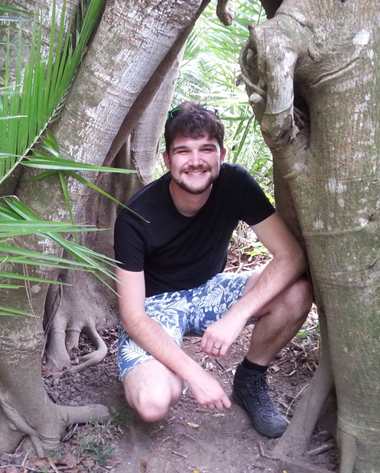 As a junior doctor, Dan has a particular interest in global health and palliative care. Dan spent time in Uganda, as part of his elective and in recent years has been a Trustee of Cairdeas (until taking up this role). Dan therefore brings to the post a unique set of skills from first-hand experience of the joys and challenges of working in the field, to balancing the management of funds, with the needs of the service and the requirements placed on Trustees. These skills will equip Dan in the roles of administrator, ambassador and advocate for Cairdeas, to build and develop its support base within the UK and abroad. After four years of service with Cairdeas, our Operational Director, Richard Morrison has announced his retirement from this role. Richard has been very ably supported in this role by his wife Fran. They have both worked tirelessly and with enthusiasm to support the work. At Cairdeas we would want to thank Richard and Fran for all of their support, contributions and commitment as the work has developed internationally. We wish Richard and Fran all the best in their "retirement" as they spend more time with friends, family and their many other interests. May they know God's richest blessing.